I love seeing setting books that are systemless in terms of rules. So no matter what game engine you may be running, you can generally pretty easily set a game in that new world (or worlds) and just get going for a whole new set of adventures than what your players may have seen before. 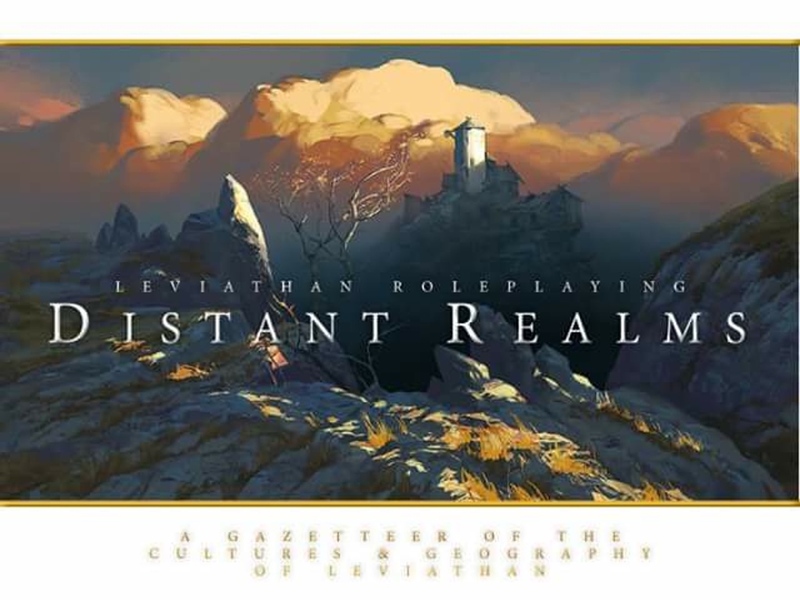 Leviathan is one such world, and now you can send your players there (well, maybe eventually, depending on how the Kickstarter goes). Stygian Fox Publishing is running a Kickstarter campaign for Distant Realms, which is their guidebook for Leviathan. The world is a fantasy setting, populated by elves, dwarves, halfings, and cats (I assume that's some sort of anthropomorphic cat-people), plus other various beings. The book will cover the various races, as well as the cultures that they use. Of course, it's not just civilized people, but various monsters that also live in the world of Leviathan. Something a bit unique to the setting, is that it's a bit Narnia-like in that there are various portals to the world hidden around the "everyday world." So if you have a non-fantasy campaign that you'd like to take to a fantasy world, there's ways to do that.